The “Swiss Capital of the USA” is certainly not lacking in things to do. 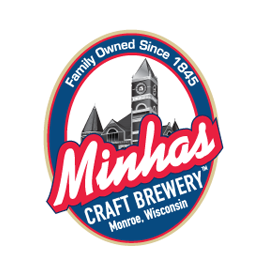 Between visiting the historic Roth Kase Cheese Factory and the National Historic Cheesemaking Center, beer lovers are also well taken care of in Monroe with the Minhas Craft Brewery. Should you be unfamiliar with the Minhas Craft Brewery, here is what you need to know: This micro-brewery has been in operation for over a century. Over the course of those years the brewery has been producing quality, premium craft beer that have attracted the attention of people from all over the country. What that means for you, beer lover, is that you too will be well taken care of at the Minhas Craft Brewery. As we have said before, it doesn’t matter if you are a staunch beer connoisseur or a person who likes to drink beer on weekends to relax with some friends. If you like beer and if you are interested to learn more about craft beer and how it’s made, then a visit to the Minhas Craft Brewery is essential. Of course, we make things easy for you by offering a Wisconsin brewery tour that costs $10 and runs 7 days a week. Often ranked as one of the top things to do in Monroe, this brewery tour will give you the opportunity to sample some of our products and learn more about the history of the brewery as well. The latter is deeply intertwined with the history of the city and of the country — so if you enjoy beer, cheese and history, you will surely find yourself right at home in Monroe, Wisconsin! What Makes the Minhas Craft Brewery Different?